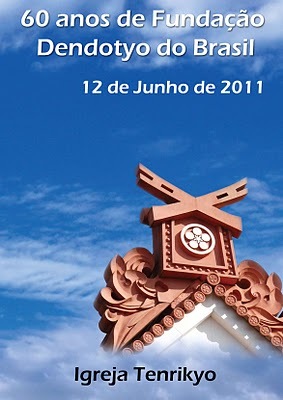 Tenrikyo Mission Headquarters in Brazil is scheduled to celebrate the 60th anniversary of its founding on June 12. The Shinbashira, Zenji Nakayama, left with a small entourage from Tenri on June 9. He is scheduled to return from his visit on June 20. Our heartiest congratulations to Brasil Dendotyo for 60 years!